The Lady in the Post Office says Nooo! 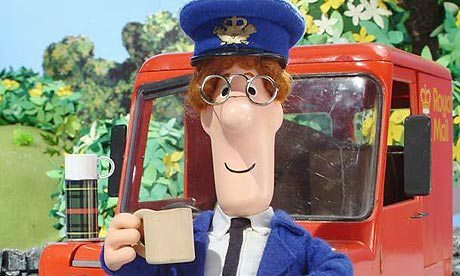 The Lady in the Post Office might want to watch a few episodes of Postman Pat. Just to cheer her up a bit. Remind her that some people employed in service industries are happy in their work, with finely honed people skills, a ready smile and ‘can do’ attitude. I realise it’s a busy time of the year. And the queues are long, and punters are daft. But really, if you hate your job that much, it’s time to lick your last stamp. I asked a question, maybe a stupid question. Like, what’s the difference between SIGNED FOR DELIVERY and REGISTERED DELIVERY. Just asking, politely, in a polite way. ‘One is SIGNED FOR, and one is REGISTERED’. ‘Right, OK, I see.’ And bought the cheapest.